Legislative advocacy has been a cornerstone of the Council’s mission since its founding in 1952. The Wisconsin Council of the Blind and Visually Impaired’s legislative committee advocates for Wisconsin residents who are blind/visually impaired on issues involving local, state and federal rules, regulations, initiatives, policies and legislative proposals. Through its legislative committee, the Council is a strong proponent of legislative initiatives that promote the dignity and empowerment of Wisconsin citizens who are blind/visually impaired. Membership on the committee is open to current and former Board members, as well as friends of the Council. Strengthen transit and transportation services to ensure people with disabilities across Wisconsin can get where they need to go. Transportation is among the greatest challenges for people who are blind or visually impaired. Because they are transit dependent, access to employment, healthcare, and community are limited due to inadequate transportation services. State transit aid is $4.8 million below the 2011 funding level and has led to a decline in services and increased fares. Increase funding for the specialized transit program for Seniors and Individuals with Disabilities (85.21) by $3 million per year and (85.215 to the tribes) by $50,000 to account for accelerating growth in the future. Increase the transit budget by $36.3 million per year to support increased transit and paratransit funding as well as necessary infrastructure improvements. Increase paratransit funding by $3 million per year. Paratransit funding has been flat since 2013. Create a shared-use transportation council to develop a strategic plan to increase transportation coordination across the state and between state agencies. Provide $200,000 to the Department of Transportation to administer a grant program designed to help municipalities install accessible pedestrian signals. Enhanced public awareness regarding drivers' responsibilities to preserve the safety of persons using white canes or guide dogs, through the mechanisms of the Department of Transportation. Greater enforcement of pedestrian safety laws to guarantee the safety of pedestrians who are visually impaired or blind. Increased penalties for the violation of laws designed to enhance the safety of pedestrians who are visually impaired or blind. Support initiatives to increase competitive integrated employment for people who are blind or visually impaired. Individuals with visual impairments have a 70% unemployment rate and a 22% underemployment rate – meaning almost the entire population has an unfavorable employment status. People experiencing vision loss have unique needs related to obtaining and sustaining living wage employment. This includes: the need for specialized training in assistive technologies, workplace accommodations, transportation access, and employer bias toward persons with visual disabilities. Increase funding for the Division of Vocational Rehabilitation (DVR) so that it can provide vital services including: counselor education across differences in disability, increased monitoring of case management after DVR consumers acquire a job to assure a successful transition to work and long-term job retention. Expand DVR and transportation assistance services beyond 90 days to help maintain employment. Currently, DVR cases are closed after 90 days if the consumer is still employed. The quick closure rate for DVR cases and loss of transportation services puts people at risk of job loss. Increase funding for the Special Education Transition Readiness grants by $3.5 million per year and increase the cap on the Special Education Transition Incentive grants to $1,500. 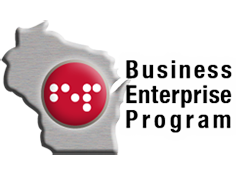 Promote the Business Enterprise Program (BEP) as a viable employment option for people who are blind or visually impaired across the state. This includes making jobs attractive to younger workers. This program offers business ownership to well-qualified candidates, who then hire additional workers and provide service to state agencies, through offering vending services. Support increased educational opportunities, including access to specialized educational services, for the 511 Wisconsin students who are blind or visually impaired. Increase funding for special education in alignment with Governor Evers’ proposed $600 million. State funding for special education has been flat for the past 10 years, creating unmet needs for students with disabilities. Create a dedicated funding stream for students who are blind or visually impaired. Currently, there is no specific funding category for students who are blind or visually impaired. A dedicated funding stream for students with visual impairments would help ensure there is appropriate specialized technology and staff to meet their needs. Maintain the current level of funding for the Wisconsin Center for the Blind and Visually Impaired (Janesville), which has dedicated programs, outreach, and specially trained professionals serving the needs of students with visual disabilities throughout the state. Recruit and train additional vision services professionals to provide services in educational settings. There is a severe shortage of vision professionals in Wisconsin schools. These professionals are highly educated -- often with a Master’s degree or specialized certification—to provide training and education in assistive technology, adaptive techniques and orientation and mobility to people experiencing vision loss. Promote loan and loan forgiveness programs, facilitated by the Higher Education Aids Board, for teachers of the visually impaired and orientation and mobility specialists. Prevent discrimination and promote full community inclusion of people with disabilities. Enhance poll worker education about the rights of voters with disabilities. Promote and ensure accessible voting machines are available and easy to access at all polling places. 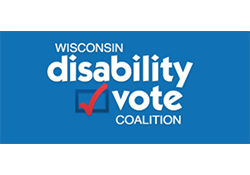 Support the Wisconsin Elections Commission in creating accommodations for the statute requirement of stating name and address, for those voters who are unable to do so, due to disability. Pass legislation to bring Wisconsin’s service animal law into alignment with the federal American with Disabilities Act (ADA). Updating Wisconsin’s law will clear up confusion currently faced by businesses and public venues about which types of animals may be allowed access to their premises. Define a service animal as one that provides an identifiable, defined task or service to its owner/handler. Per federal ADA law, task-based service animals are the only animals having mandatory access to businesses and additional venues of public accommodation. Protect and strengthen health coverage for people who are blind or visually impaired. People with vision-related disabilities, whether purchasing their own health insurance or accessing Medicaid, are vulnerable to changes in these systems. Those who are income-limited, suffer from a traumatic eye injury or disease, require surgery or medication, or have other health conditions are especially impacted. 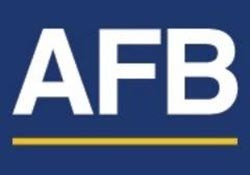 Increase state funding for the DHS Office of the Blind and Visually Impaired (OBVI) to $500,000 to match the federal grant from the Independent Living for Older Blind Grant annual award. Funding is needed to maintain the necessary level and number of professionals to effectively serve the increasing population of adults with significantly changing vision. OBVI staff instruct individuals with low vision on techniques and technologies for use in daily living (home management, personal care, Orientation & Mobility, and communications). 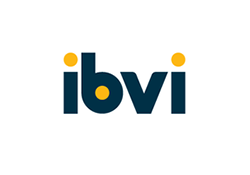 The state’s share of funding for OBVI has been flat in recent years, which has impacted recruitment and retention of vision service professionals. At the same time, the numbers of people with significantly changing vision is increasing as individuals live longer and Baby Boomers age. Create and fund a residential-based adjustment skills training program for adults experiencing significantly changing vision. Wisconsin is among a handful of states that do not provide a residential-based adjustment skills training program for adults experiencing significantly changing vision. Expand the types of certified professionals who can bill Medicaid for vision services. Currently, Medicaid will pay for vision rehabilitation if the services are performed by a licensed occupational therapist (OT). Other highly qualified vision rehabilitation specialists, such as a certified low vision therapist, certified orientation and mobility specialist, certified vision rehabilitation specialist or a certified assistive technology trainer cannot be reimbursed by Medicaid. While the services of an OT are billable, there are few OTs with the proper training in low vision. Vulnerable Wisconsin residents, ranging from infants to elders, would be better able to receive the necessary training and skills to reduce injuries and live a healthier quality of life. Additionally, agencies like the Department of Vocational Rehabilitation would also be able to better utilize their funding for direct job training, rather than needing to fund support services like orientation and mobility and vision rehabilitation. Visit the Wisconsin State Legislature Website to find your representatives. Advocates for change in government programs and maintains the belief that all blind people have a place in society. Provides advocacy for all ages and fights for the rights of all blind people. 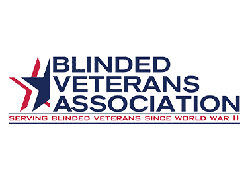 Promotes the dignity of blinded veterans and helps them integrate into the community by helping them work alongside sighted peers. Works to help those who are blind attain equal treatment in all realms of life. The ADA is a law that passed in 1991 which protects those with disabilities. 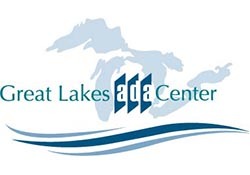 ADA Great Lakes increases awareness and knowledge to achieve voluntary compliance with the Americans with Disabilities Act. A non-partisan effort to increase voting turnout and participation in the electoral process among members of Wisconsin’s disability community. Groups and individuals that seek to establish higher standards of respect and equality for all who labor. 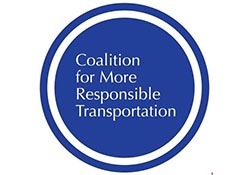 A coalition of 25 local and statewide organizations working to ensure taxpayer-funded transportation is responsible and not wasteful. Provides blind employment opportunities through an imprinted products business. Enriches the lives of people who are blind through the dignity of work valued by customers and the community. 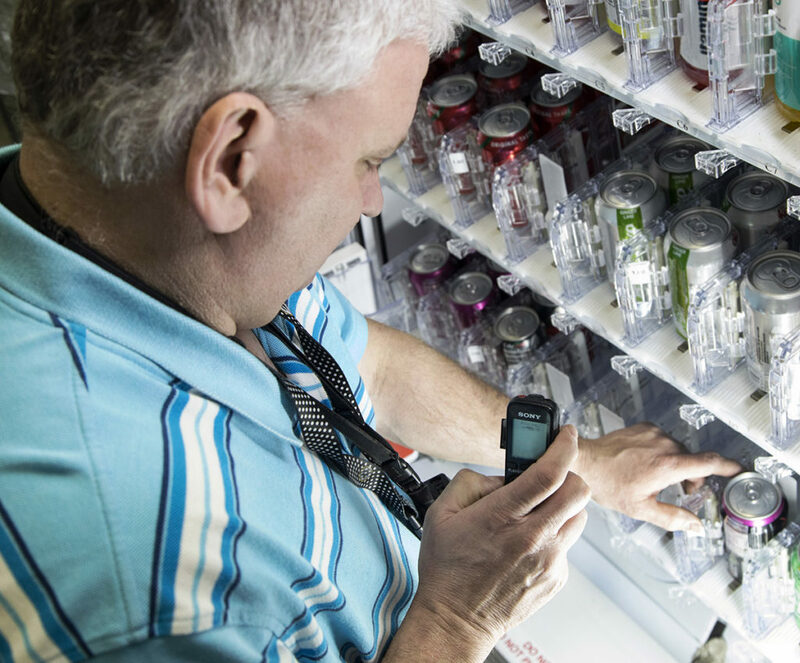 Strives to help those who are blind or visually impaired form, run, and fully manage their own vending machine business. Assists people who are blind with running and operating their own vending, micro market, or food stand. Provides career opportunities for the blind and visually impaired, with headquarters in West Bend, Wisconsin.